Bang! Mustang! is a killer surf band from Germany. This is the title track from their 2014 album Surfin' NSA. Les Baxter did lots of soundtracks and legitimate compositions, but his claim to fame, for me at least, will always be his work in the exotica genre. If this sounds familiar to you, it's because this tune from 1952, "Quiet Village," was a part of the opening theme for Pee-wee's Playhouse. This melody was the introduction to a strange land every Saturday morning for millions. Paul Reubens was and still is a very cool cat. Lord Sitar was the alter-ego of English session musician named Big Jim Sullivan who went to some weird, wonderful places, as you can see on his sitar cover of The Monkees tune "Daydream Believer" from his self-titled 1968 Lord Sitar album. The Out-Islanders were a group consisting of studio session players (as will often be the case here in the Space Lounge). They only made one album, 1961's Polynesian Fantasy, but man, what an effort. This is "Moon Mist." Dig that Star Trek vibe? It's like the Enterprise went to Hawaii. 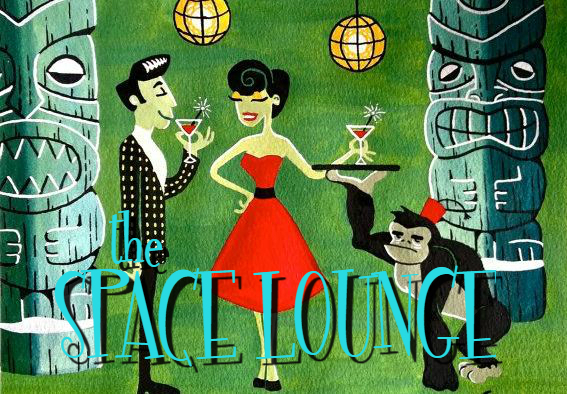 You can now listen to Space Lounge Vol. 1 via a playlist on the Cereal At Midnight YouTube channel. Playlist is located HERE. *Credit to the original uploaders of these videos on YouTube.